GOP Rep. Patrick Meehan used taxpayer money to settle a misconduct complaint from a former aide to whom the congressmen repeatedly expressed his romantic desires, The New York Times reported. When the aide became romantically involved with someone outside of work, Meehan reportedly became angry. Meehan’s alleged behavior comes as several other congressmen and a senator resigned or said they would not seek-reelection amid allegations of sexual misconduct. Rep. Patrick Meehan settled a misconduct complaint after a former staffer accused him of making repeated unwanted romantic advances, The New York Times reported Saturday. It’s unclear how much taxpayer money Meehan’s office doled out to the former aide, but people familiar with the settlement told the Times that it was thousands of dollars. The money came from Meehan’s congressional office fund. 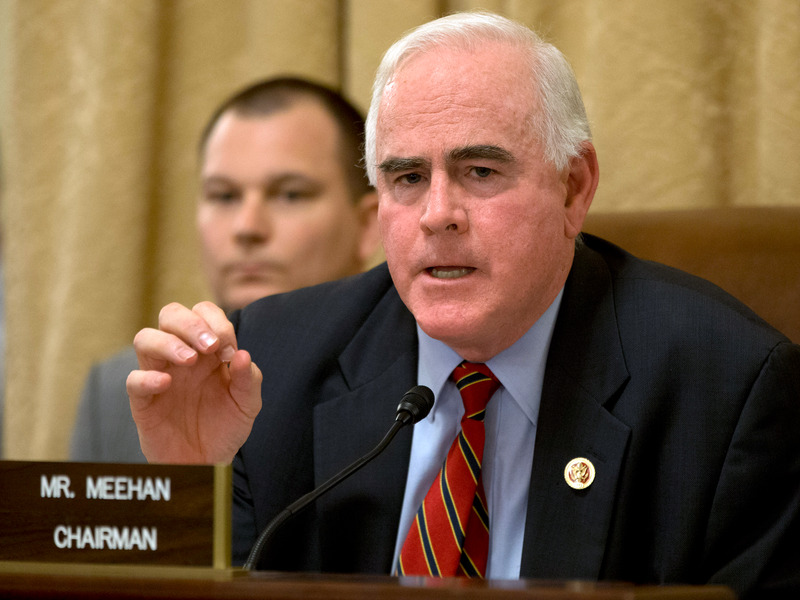 Meehan, a four-term Republican congressman, represents Pennsylvania’s 7th congressional district. Meehan sits on the House Ethics Committee, which is partly responsible for investigating sexual misconduct claims in Congress. Last year, Meehan reportedly expressed his romantic desires for one of his aides, who was decades younger than him, on multiple occasions. After she rebuffed his overtures and news spread that she had a boyfriend outside of work, Meehan became hostile, the Times said. The aide then filed a complaint and ultimately left the job. Meehan’s alleged behavior comes amid an ongoing national conversation about sexual misconduct, especially in the workplace. Over the past few months, powerful men in media, entertainment, and politics have been accused of perpetrating some form of sexual misconduct. Four congressmen—two Republicans and two Democrats—have either resigned or announced they will not seek re-election over allegations of sexual harassment. Minnesota Sen. Al Franken resigned earlier this month amid several accusations of unwanted groping and kissing. In October, Rep. Tim Murphy of Pennsylvania announced he would resign after it was reported that he told a woman with whom he was having an extramarital affair to get an abortion. A special election campaign to replace Murphy’s seat is already underway.